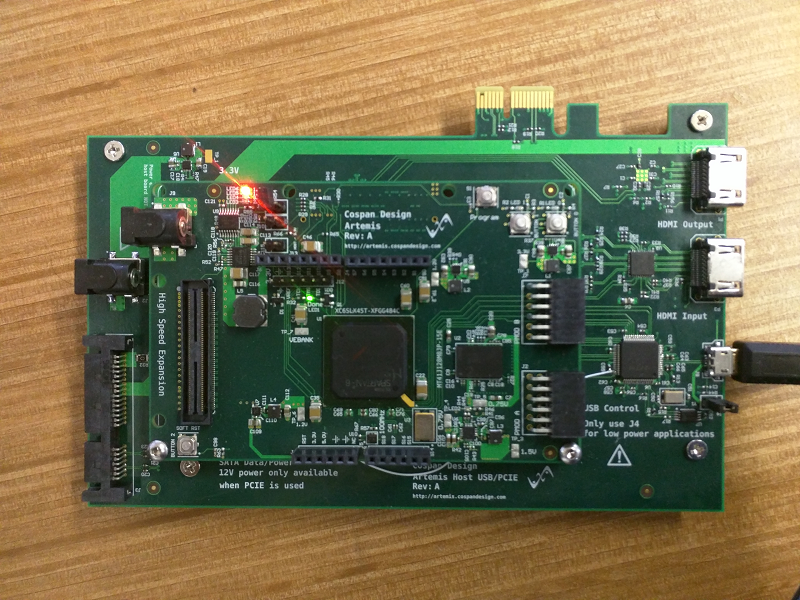 Practically any FPGA board can support Nysa. The only requirement is a means to communicate with a host. This host can be a desktop computer, an embedded platform or even a microcontroller such as Arduino. The following boards were designed with Nysa in mind. 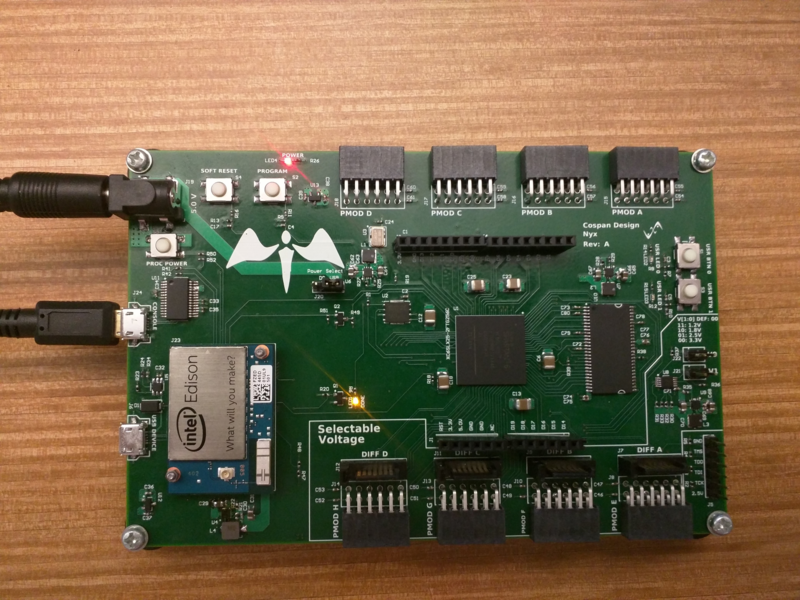 A Spartan 6 LX25 attached to an Intel Edison through SDIO with throughput rates of 50MBs. 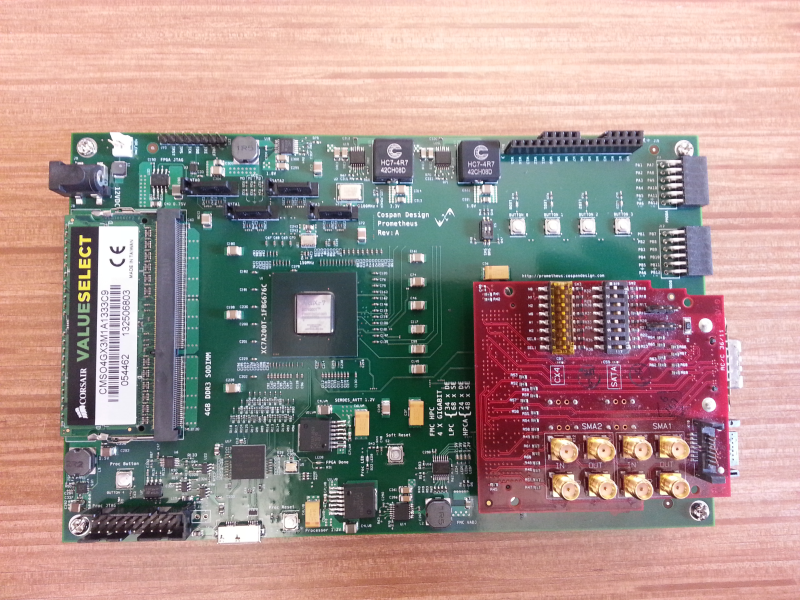 A Spartan 6 LX45T designed so the user can create their own host interface using up to 23 differential signals (46 single ended) and a pair of gigabit transceivers openning up PCI Express. One of the most inexpensive ways to use PCI Express or SATA on your next project. High speed low cost expansion connector. 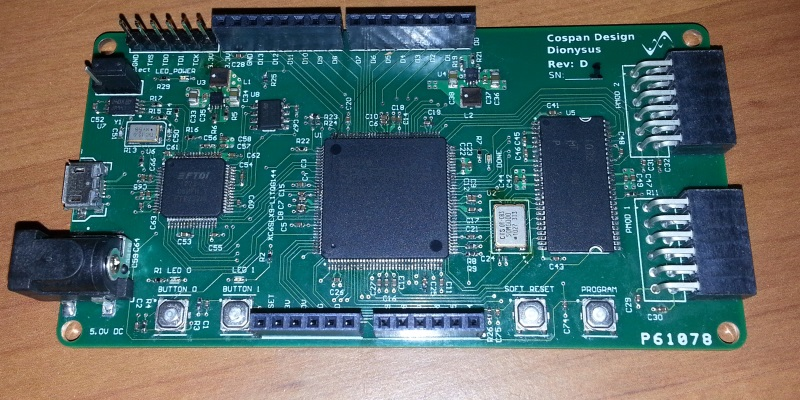 The connector can be soldered by hand or through a reflow oven enabling users to develop boards that can interface with DSI/CSI PCI Express and SATA to name a few. High speed low cost host connector. The connector can also be soldered by hand or through a reflow oven enabling users to develop high speed interface with desktop computers, single board computers or even microcontrollers. © Copyright 2015, Dave McCoy. Created using Sphinx 1.3.1.